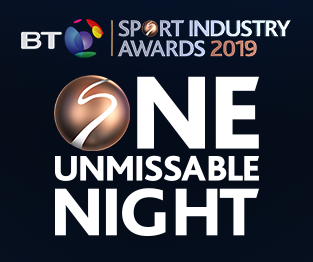 As anticipation continues to build ahead of the BT Sport Industry Awards 2019 on Thursday, 25th April, we catch up with Simon Halliday, whose Sporting Wine Club will again be providing the finest wines for the industry’s night of the year. Saracens Rugby Club and Tottenham Hotspur Football Club have announced a five-year partnership that will see Saracens play its annual showpiece fixture at the new Tottenham Hotspur Stadium. The move has been described as a “tremendous opportunity,” reflecting the clubs’ shared vision of sport-led regeneration in north London communities. Scottish Rugby has become the first Tier 1 national governing body to link with a Major League Rugby franchise in the United States. The union has taken a minority stake in new, Washington-based expansion team Old Glory DC, which will play in an expanded 12-team MLR competition from February 2020. Under the deal, Scottish Rugby will provide a combination of financial and rugby support and see its Chief Operating Officer, Dominic McKay, sit on the Old Glory DC board. The strategic partnership was born out of conversations in the US market around expanding the PRO14. Infront has confirmed its status as the “preferred commercial partner” for World Rugby’s proposed new Nations Championship. It follows media reports of a £5bn offer, which has kept alive controversial plans for the new global league. The concept, formally presented by World Rugby to its member unions in Dublin this week, had been threatened by a parallel Six Nations move to consider selling a stake to private equity firm CVC.